This lighter by Tonino Lamborghini has a stainless steel body with interwoven etching. On the front it sports red garnet stones and stainless steel rectangular accents that double as the ignition. 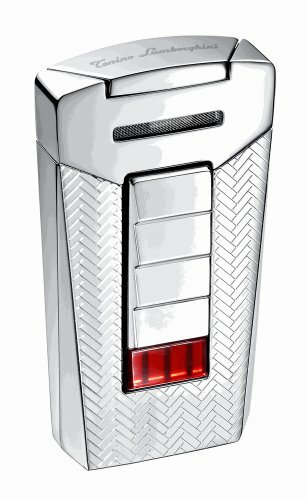 This dual ignition, single jet flame lighter also has honeycomb laser marks along the jet flame surface. If you have any questions about this product by Tonino Lamborghini, contact us by completing and submitting the form below. If you are looking for a specif part number, please include it with your message.